Buff Gem Blowout is back! 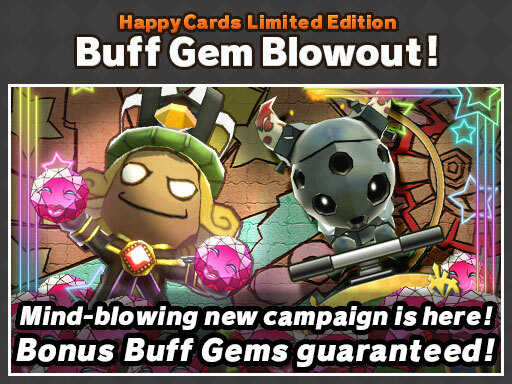 With the Buff Gem Blowout campaign, any time you purchase a pack of Happy Cards during Happy Time in Happy Cards Limited Edition, you’ll receive a Buff Gem guaranteed!! 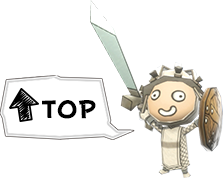 This campaign is perfect for players searching for that one last rare buff to complete their latest Premium Equipment Item, or for players looking for inspiration for their next awesome character! What is a Buff Gem? A Buff Gem is a rare item with a powerful buff attached to it. Normally, Buff Gems are very rare in Happy Cards. With Buff Gem Blowout, you’re guaranteed a Buff Gem during Happy Time in Happy Cards Limited Edition! So, don’t miss your chance to get a guaranteed Buff Gem! *Please note that “Buff Gem Blowout!” will not be applied to the normal Happy Cards.